 Everything from Birthday Parties, Engagements, Christenings, Family Gatherings, Charity Events, Corporate Events, Graduations and so much more – we’ve got it covered at The Torrance Hotel. We host and can arrange function room hire, hotel conference rooms and all types of celebrations all year round. Be a grand milestone or just a little celebration, you can have the best day or night in our state-of-the-art conservatory or choose one of our intimate booths for something a bit more discreet. If it’s private dining or a more grand celebration then we’ve certainly got you covered. We have a choice of two beautiful function suites each with private bars and adaptable room layouts and set-ups. No matter how intimate or grand your numbers will be we can attend and cater to your every need. Your funeral purvey can be booked through your funeral directors or you can book it directly with the Torrance Hotel.